In the summer of 1939, Jews from Bratislava hired two Danube steamboats – among them, the Erzsébet királyné/Queen Elizabeth, from the Hungarian government, with the assistance of the elder statesman, József Antal, the state secretary for refugees – so that they could escape from the Slovak and the German Nazis to Palestine. More than nine hundred Jews escaped in this way from the gas chambers, transported by paddle-wheel cruise-steamer down the Danube. The Captain of the Queen Elizabeth, Dr. Nándor Andrásovits, a passionate filmmaker, recorded 8mm cine-film on his boat, preserving the entire journey for posterity. Through the recordings shot over sixty days (from 3 July – 16 August 1939), we follow the journey of the Orthodox and Zionist Jews traveling by ship to the Black Sea, from where they transferred to the seafaring ship, the Noemi Julia, on which they traveled on to Palestine. Since the Captain is Lord – “the next, after God” – of the ship, he was able to shoot much more material with his camera, undisturbed, than the average tourist-filmmaker would have been able: among the unparalleled, rare footage, we are privy to portraits of the refugees, their prayer, a wedding, and their moments of rest. One year later, Captain Andrásovits once again filmed an exciting journey. We see the port of Reni and Galati in Romania, where Volksdeutsch embark onto the ship in a long queue. They have lived for five generations in Bessarabia, but in the 1940’s, in fear of Soviet annexation, they have volunteered for the SS-organized repatriation to the Third Reich. On the stern of the Queen Elizabeth, the Resettlement Committee and the Nazi soldiers pose merrily before the Captain’s camera, while the mournful Swabian peasants, who have lost their homes, travel up the Danube. All this was one of the quiet events organized by the Nazis and the Soviets in the autumn of 1940, when ninety-three thousand Volksdeutsch were resettled from Bessarabia – disannexed from Romania, to Poland, occupied by the Third Reich. The comparison of the incomparable, the opposing and parallel travel epics are set forth by Péter Forgács’ film, produced in 1997 by Lumen Film, for VPRO TV. 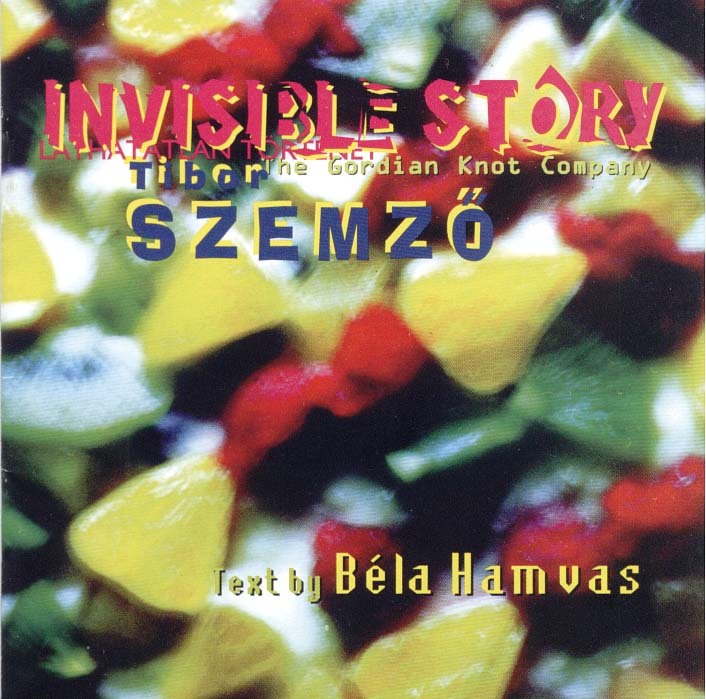 Tibor Szemző’s pieces of so-called film music are not truly music for film in the original sense of the word. Traditional film music generally represents music of lesser value in terms of autonomous musical composition, as its purpose is to support and reinforce the impact of the film; it should, in fact, remain practically unnoticeable. Szemző’s film music, on the other hand, does not play a subordinate role, but rather possesses significance of an equal rank with the images, and even provides for their reinterpretation. 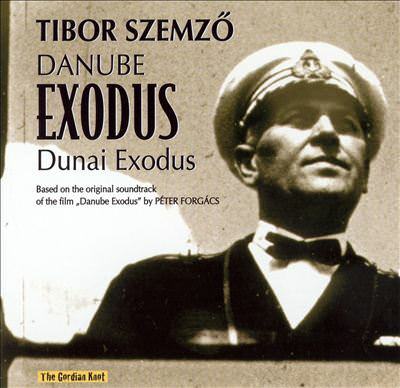 The Danube Exodus image series, with Szemző’s music, acquires the overwhelmingly tragic sense expressed by the images of Nándor Andrásovits, as composed in Péter Forgács’ mesmerizing film. The listener may meet with Tibor Szemző’s film music in three situations: as autonomous musical composition (without the accompaniment of visuals); as accompaniment to a film (when we see only the images); or within the framework of a cinematographic concert (when the live performance is accompanied by a film projected onto the backdrop). The important image and its accompaniment compare and define the emphasis, i.e., the three types of performance methods – whereas the music, in essence, is identical in each case – carry three, markedly distinct meanings. 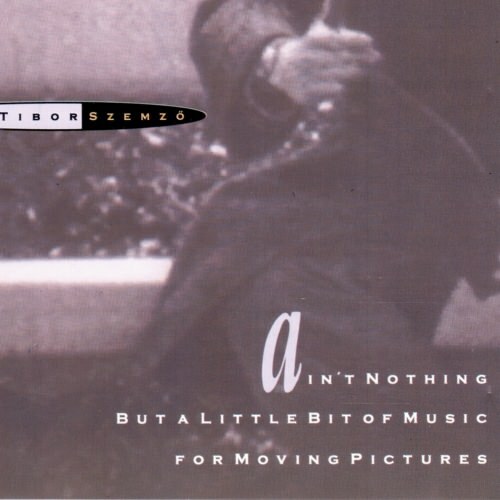 Tibor Szemző’s film music also completely diverges from the accustomed music accompanying silent films. In the case of Szemző, it is not merely accompaniment; the music is perceptibly present in every moment of the film. Albeit it is generally of a meditative and monotone nature, it nevertheless does not let the viewer rest comfortably, but rather compels her/him to alter her/his impression formed by the image sequence in accordance with the impact of the music. Szemző’s pieces of film music do not simply serve the aim of not leaving the image sequences silent; the music carries its own autonomous content, as well, creatively adding to and intervening into the image sequences, complementing them, and even occasionally transforming their meaning. It is for this reason that the cinematic performances are possible, in which the image is actually rendered the accompaniment to the music; this is why the film music stands on its own, as well, as independent musical composition. 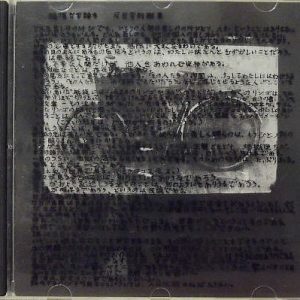 Beyond the music, three video-clips may be viewed on this disc: The Captain; Jewish Exodus; and German Exodus; thus, the listener-viewer may become acquainted not merely with the complete musical material of the film, but s/he may also enjoy the wonderful meeting between the music and the image. The film and the music re-contextualized and composed in 2001-2002 for The Danube Exodus – The Rippling Current of a River, an interactive installation at the Getty Research Institute, Los Angeles 2002 – in collaboration with the creative team of the Labyrinth Project – USC/Annenberg Center.